Dale Koch submitted this photo and caption. 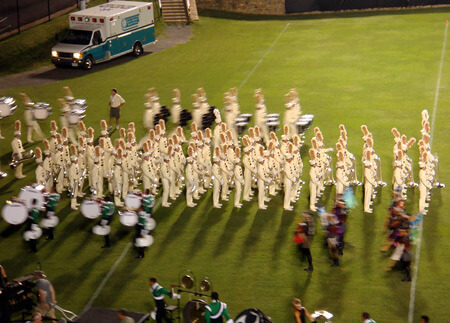 I never miss the NightBEAT Drum Corps International event in Charlotte, N.C. every summer, and this year, some close friends and band-mates of mine from Western Carolina University and from high school came along. They loved the show, and I got some great photos. This one was my favorite, and it came out completely by accident. As you can see, most of the picture is a blur, but Crown's brass section is in sharp focus. Judging by how great their show was, the photo reflects how focused their heads were as well!